Changing the world one hour at a time. You can make a difference for someone today. 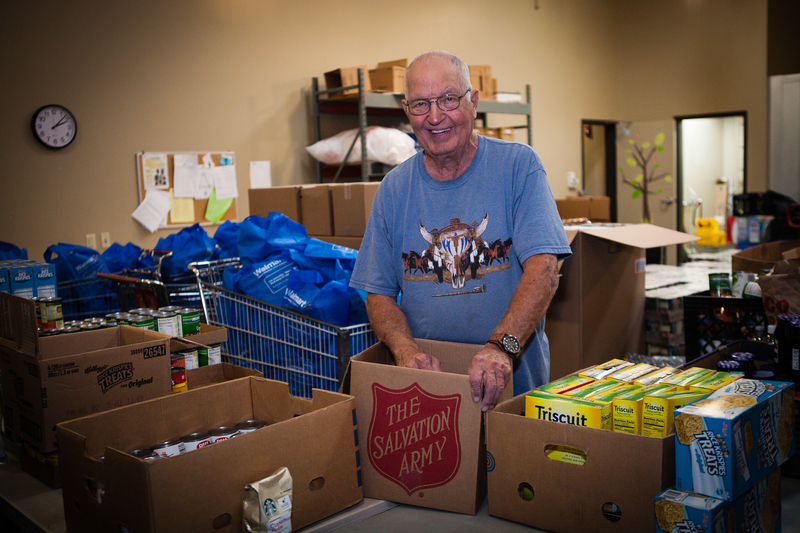 Whether it is a single mom struggling to provide food for her family, a senior who is all alone for the holidays or a child who will benefit from tutoring, The Salvation Army can provide opportunities for you to do the most good with your time. We are always looking for people to partner with us in our mission of meeting human needs without discrimination. Listed below are just some of our opportunities to volunteer. Whether you are looking for useful ways to give back during retirement years, wanting to teach a child about the value of service, or just looking to complete community service hours, we have a place for you. During November and December, we are in need of Volunteers for our Kettle locations! This is our most flexible volunteer option! You can choose your hours and your location! Just show up, pick up the bell, and start spreading some Christmas cheer. Donations raised in the Kettle support our services year round! Volunteer as a family, group, play an instrument or wear a costume! We love when our Kettle Volunteers get in the Holiday Spirit! Click here to sign up for a Kettle time and location. You can also call during office hours and we can get you signed up. Receptionist 9:00-4 PM Weekdays Answer phones, welcome clients, examine documents for eligibility, and just create a friendly and welcoming atmosphere as clients come in the building. Tutor 3 PM - 5 PM Weekdays Join our Kids Academy of 30 children and spend after school hours tutoring children on specific subjects, reading to pre-readers, or even playing a game with them. Seasonal worker 9:00 AM - 9:00 PM Help with our extra Christmas activities. This could include driving Kettle workers, sorting toys, organizing Angel tree, handing out gifts to senior residences. There are so many opportunities! We can also accommodate large groups during this time. Give us a call to work something out. Emergency Disaster responder on call Help serve in disaster situations. All year round, we are requested to assist first responders by serving drinks and food at local disasters such as fires. Trained disaster responders can also be called to regional or even national disasters such as tornadoes or hurricanes. Training required. Call for details. Food Pantry Assistant 9 AM - 3 PM Weekdays, excluding Wednesdays Sort and shelf food donations. Pack groceries for clients requesting food assistance. Click here or Call 812-944-1018 to volunteer!